I had asked my mom to put together her first “cameo post” for Six Until Me. 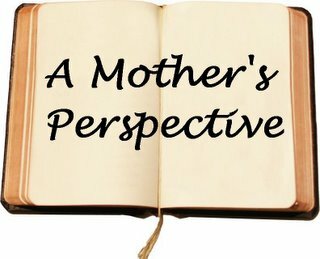 There are countless blogs written by the parents of diabetic children that my mother reads now, even though I’m an adult and living under my own care. Had the blogging outlet been an option when I was diagnosed, I’m certain she would have been a pioneer. So she’s getting her chance now, on her daughter’s blog. It’s the least I can do. My acceptance of my disease is the exquisite culmination of her teaching me to believe in myself as much as she believed in me. My daughter, Kerri, has asked me to write a cameo post for her blog. I have been putting it off for a few months now and I think that I had better get to it! I couldn’t decide what my topic would be. After all, this was my one shot at being read by the OC. Of course, I will be relating more to the parents of children with diabetes. I guess I will write about what was the hardest part of Kerri growing up with diabetes. That would be “learning to let go”. The initial reaction to one’s child being diagnosed with a chronic disease is traumatic to say the least. I remember the fear of knowing that I was responsible for keeping Kerri healthy and safe. That was my priority prior to diagnosis but now there was this “disease” thrown into the mix of normal childhood perils to contend with and this one wasn’t going anywhere. I thought “how am I going to do this?” I was nervous and scared. Kerri was taking it in stride, still smiling and still her happy self. That’s when I decided that diabetes wasn’t going to rob her of her childhood or all of life’s experiences. If she could still smile and carry on, so could I. (Granted, at seven, she wasn’t fully aware of all the diabetes related issues.) I just went on automatic pilot. I did what I had to do. She would go to friends houses for sleepovers, school field trips, etc. About a month after diagnosis, Kerri was invited to sleep over at a new friends house. They were new to the area and Kerri and Jill became fast friends. I knew that I was going to let her go but first I had to call her teacher and get her opinion of Jill’s parents. She gave them rave reviews. I then made arrangements with Jill’s Mom and Dad to go over in the evening to give the night time shot and again at 7:00 AM for the morning test and shot. The Mom’s became friends as well. Mission accomplished…Kerri was able to go to sleepovers and I had control. Now it’s the “letting go” part. As she grew up it was the hardest thing not having a say or part in everything she did. It was like going from hot to cold. It was a form of withdrawal. My daughter is fiercely independent. (I think you can all tell.). It was time for her to manage the disease and prepare for a life without Mom monitoring her every move. It was soooo hard. I had many a stomach ache waiting for her to drive in the driveway. My role as guardian and nurse was about to be severely restructured. Now I was an observer or sorts. I had to let her test her wings. She wouldn’t live with me forever. Besides, I always thought that if, God forbid, anything ever happened to her, I would want to know that she really had a great life. That she was not held back from doing things out of my own fears for her. (And there were plenty.) I did this for her and for myself as well. I would have felt guilty if I had held her back… so I didn’t. She managed just fine. It would be silly to say that all things were perfect. They are not perfect for any child growing up testing the waters. The parents are not perfect. They do the best they can. However, she developed into this lovely young woman with a zest for life and a smile that says “Hi, I’m Kerri and you will like me”. I will always be there for her in whatever capacity she needs…that of nurse, counselor etc. It really won’t matter how old she is, she is my daughter and I am her Mother. I love her. That’s why I let her go. Guest Post: My Sister Has Diabetes Guest Post: Until Next Time, FFL. Guest Post: Diabetes Opera. Guest Post: Let’s Talk About It.